The Life project that was used to promote the Vineyards4Heat proposal, which that has Vilafranca City Council has been developing together with Nou Verd, Covides and Innovi in recent years, has come to an end. Vilafranca’s project has been recognized by the European body and in the meeting with the different partners that have participated in the project so far, the European recognition was celebrated and the work line that will be followed from now was presented. 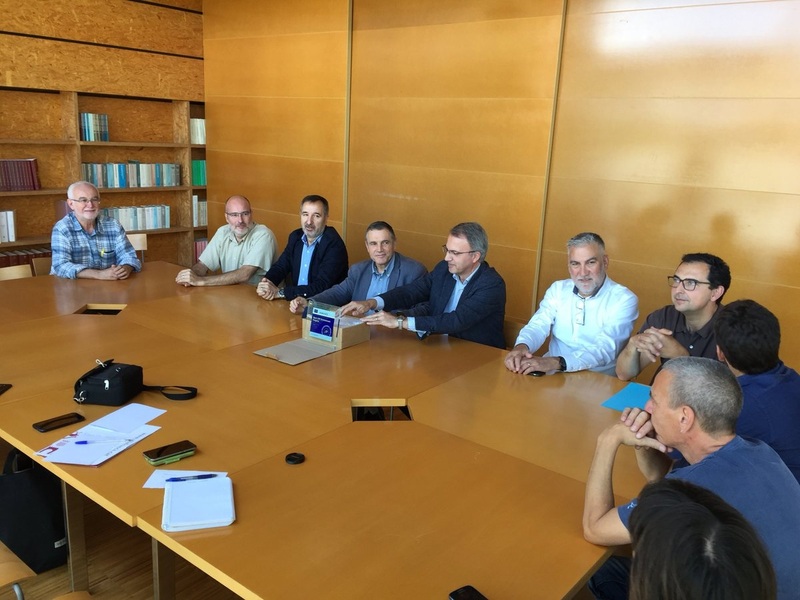 The Mayor of Vilafranca, Pere Regull, and the Councillor for Environment, Josep Maria Martí, explained how the project had been developed up to now, and they advanced that the result has been totally positive and therefore the will is to continue with a new approach. In this regards, the Deputy mayor and president of the Municipal Water Company of Vilafranca, Aureli Ruiz, explained that after the experience accumulated in these years and seeing the use that can be made of the remains of pruning to generate energy they had decided to apply it now at the business level and with private uses, managing it through the municipal water company. In fact, for now it will be used the existing boiler in the district heat of La Girada which already serves the Regional Archive building, El Parquet’s nursery and the Dolors Piera school. Now the Ricard Fortuny healthcare centre will be added. The idea of the project is to grow with service to new facilities that can take advantage of this energy generated by the burning of the pruning remains of the vineyard. Aureli Ruiz pointed out that the service could be offered, for example, to the Regional Hospital or to the different facilities of the sports area, where in fact there is already a biomass boiler that supplies hot water to the changing rooms of the football field.